An international team of physicists has published ground-breaking research on the decay of subatomic particles called kaons – which could change how scientists understand the formation of the universe. Professor Christopher Sachrajda, from the Southampton Theory Astrophysics and Gravity Research Centre at the University of Southampton, has helped to devise the first calculation of how the behaviour of kaons differs when matter is swapped out for antimatter, known as direct “CP” symmetry violation. Should the calculation not match experimental results, it would be conclusive evidence of new, unknown phenomena that lie outside of the Standard Model—physicists’ present understanding of the fundamental particles and the forces between them. The current result, reported in Physical Review Letters, does not yet indicate such a difference between experiment and theory, but scientists expect the precision of the calculation to improve dramatically now that they’ve proven they can tackle the task. The target of the present calculation is a phenomenon that is particularly elusive: a one-part-in-a-million difference between the matter and antimatter decay strengths. The calculation determines the size of the symmetry violating effect as predicted by the Standard Model. Results from the first, less difficult, part of this calculation were reported by the same group in 2012 and was the subject of the theses by two Southampton PhD research students, Drs Elaine Goode and Tadeusz Janowski. 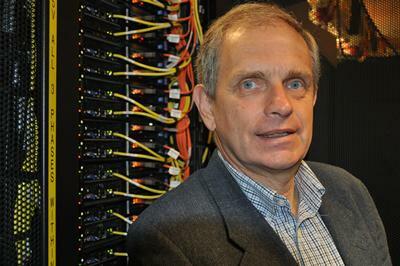 However, it is only now, with completion of the second part of this calculation—which required more than 200 million core processing hours on supercomputers —that a comparison with the measured size of direct CP violation can be made. Physicists’ present understanding of the universe requires that particles and their antiparticles (which are identical but have opposite charges) behave differently. Only with matter-antimatter asymmetry can they hope to explain why the universe, which was created with equal parts of matter and antimatter, is filled mostly with matter today. The first experimental evidence for the matter-antimatter asymmetry, known as CP violation, was discovered in 1964 at the Brookhaven National Laboratory in the United States. This was built upon to a more accurate degree in 2000, to uncover direct CP violation – a tiny effect which only affects a few particle decays in a million. Although the Standard Model does successfully relate the matter-antimatter asymmetries, this is insufficient to explain the dominance of matter over antimatter in the universe today. 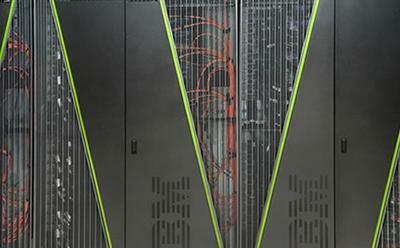 The calculation was carried out on the Blue Gene/Q supercomputers at the RIKEN BNL Research Center (RBRC), at Brookhaven National Laboratory, at the Argonne Leadership Class Computing Facility at Argonne National Laboratory, and at the DiRAC facility at the University of Edinburgh. It was funded by the U.S. Department of Energy’s Office of Science (HEP), by the RIKEN Laboratory of Japan, and the UK Science and Technology Facilities Council.